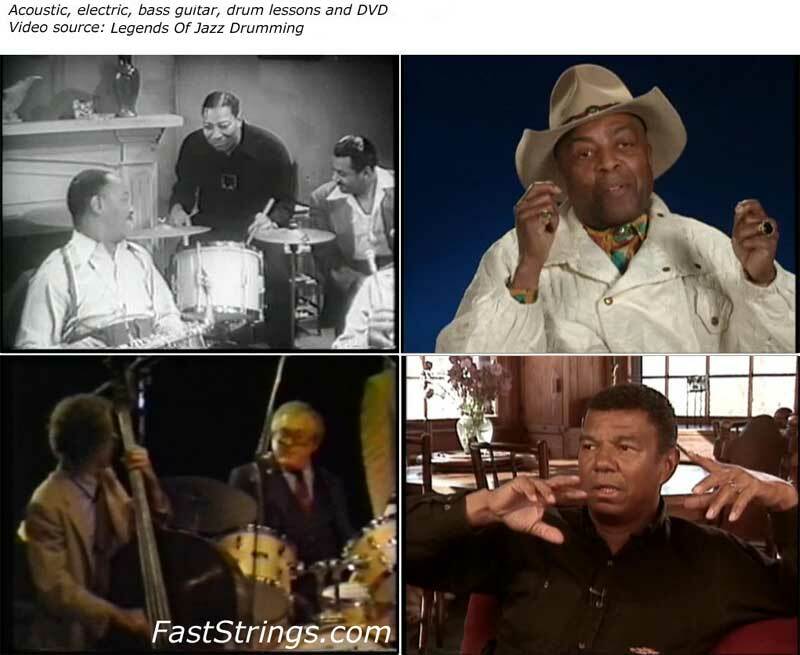 The Legends of Jazz Drumming traces the history of jazz drumming in America from its earliest, pre-1920 roots to the advent of the Be-Bop revolution in the 1940’s through the most exciting period in the evolution of jazz percussion, the 1950’s to the 1970’s. Included in this groundbreaking retrospective are rare film clips and still photographs of early pioneers such as Baby Dodds and Paul Barbarin, percussion legends Chick Webb, Gene Krupa, Buddy Rich, Dave Tough and Sid Catlett as well as innovators like Jo Jones and Kenny Clarke. The cool jazz of Shelly Manne and Joe Morello are featured as well as the hard-bop of Art Blakey and Philly Joe Jones. Do not forget to download drumless tracks for practice. Looks great. Thanks for the share. I managed to watch to DVD…I was with problems in some files, but now I corrected!!! This site is great, congratulations for all! this one is a must have for sure! thanks you have the best website man love it, you think you could find Keith Carlocks’ full DVDs i have 1 but 2 is very very hard to get. Cheers mate. care take!